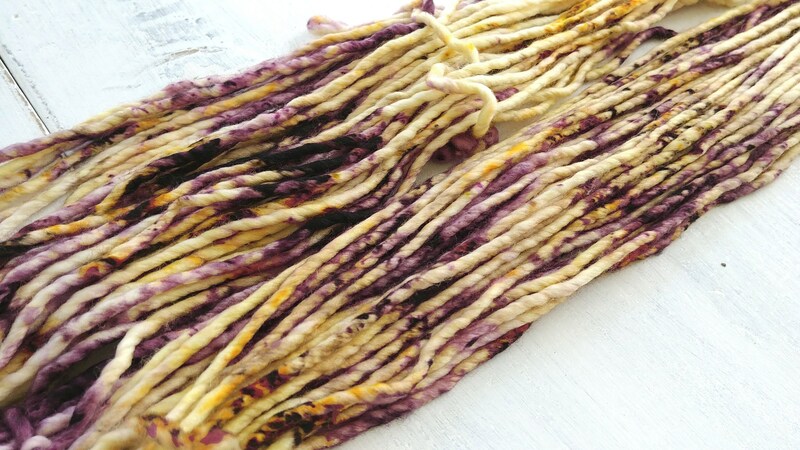 Hand dyed super bulky yarn. 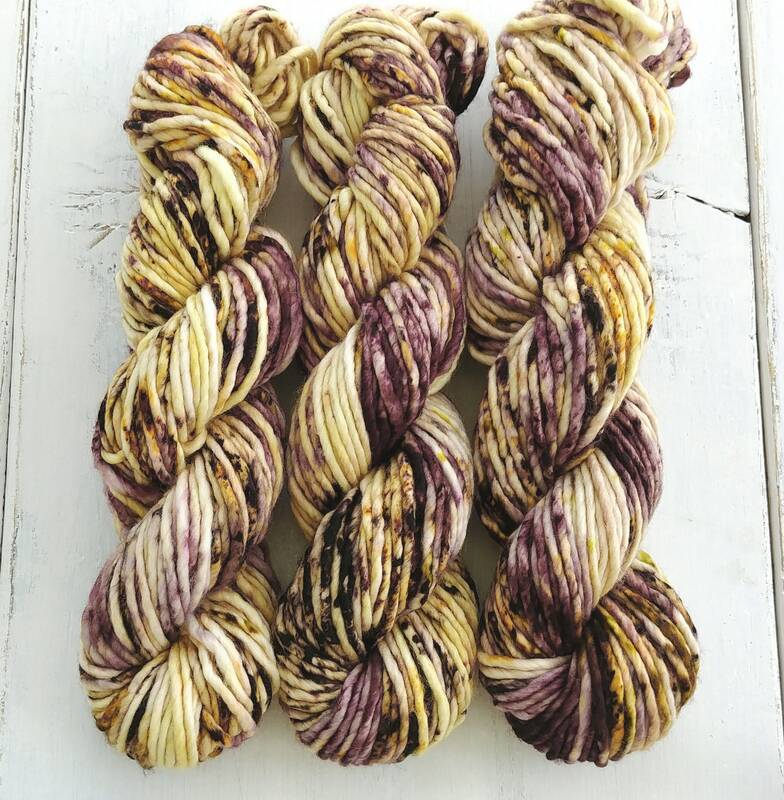 This yarn is dyed in a base of a semi-solid straw yellow with speckles of a deep brown, orange, a few specks of yellow-green and a healthy dose of dark mauve. 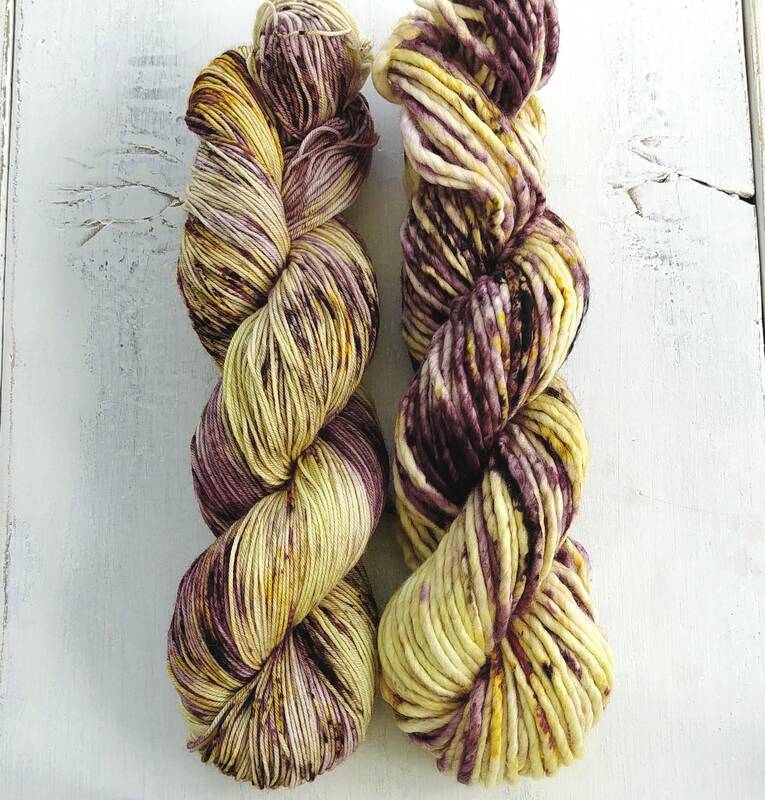 The last photo shows this colorway on Staple Sock on the left and Maizy Super Bulky on the right. 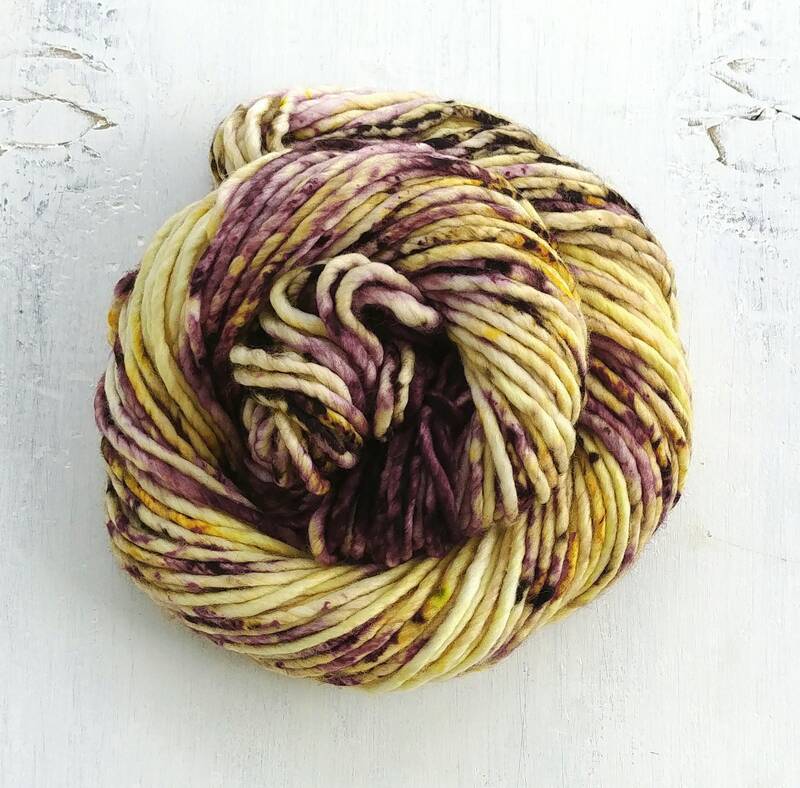 This listing is for one skein of Maizy Super Bulky.